A practicing trial attorney for over thirty years, Dan Dunbar has obtained tens of millions of dollars for his clients in verdicts and settlements in personal injury, product liability and pharmaceutical cases. Prior to joining Panish Shea & Boyle LLP, Mr. Dunbar had his own practice in Torrance, California for a number of years. Earlier in his career, Mr. Dunbar was an attorney with the Beverly Hills office of Melvin Belli, Sr., a pioneer in the field of plaintiffs’ personal injury. Following Mr. Dunbar’s tenure with the Belli Firm, he became partners with David S. Sabih, a prominent trial attorney throughout the State of California. Over Mr. Dunbar’s career, he has personally represented over 5,000 clients involved in personal injury claims, including 1,100 women injured by the Dalkon Shield intrauterine device. Mr. Dunbar is an “AV” rated lawyer, which is the highest rating established by Martindale-Hubbell’s law directory. Los Angeles Magazine has named Mr. Dunbar to its roster of “Super Lawyers” in Southern California from 2007 through 2017. 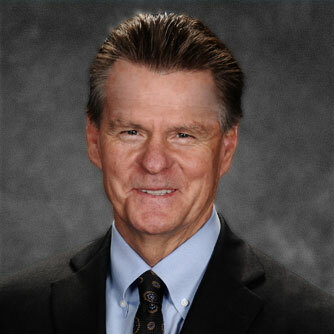 Mr. Dunbar graduated from Loyola Law School in 1981 and obtained his undergraduate degree from California Polytechnic State University, San Luis Obispo in June of 1978.